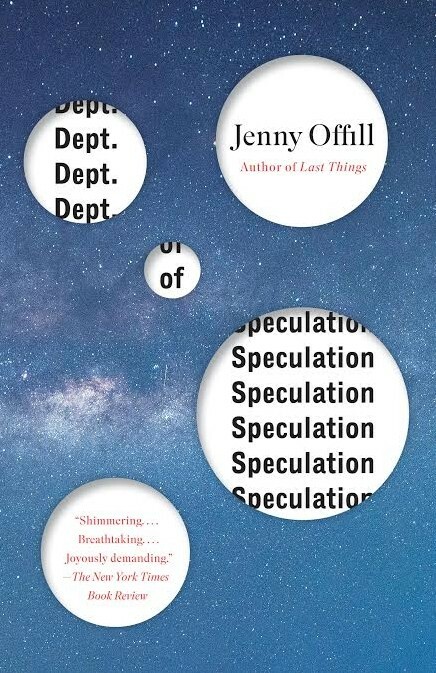 Jenny Offill’s Department of Speculation is a unique reading experience in a time when that phrase is overused and rarely accurate. In this slim volume, Offill has managed to capture two experiences central to the lives of most people: the tension between living the life we dream of and the life we actually have, and the arc of a marriage (in this case, infatuation, bliss, established partnership, emotional distance, communication breakdown, adultery, and attempted rehabilitation and renewal of trust). 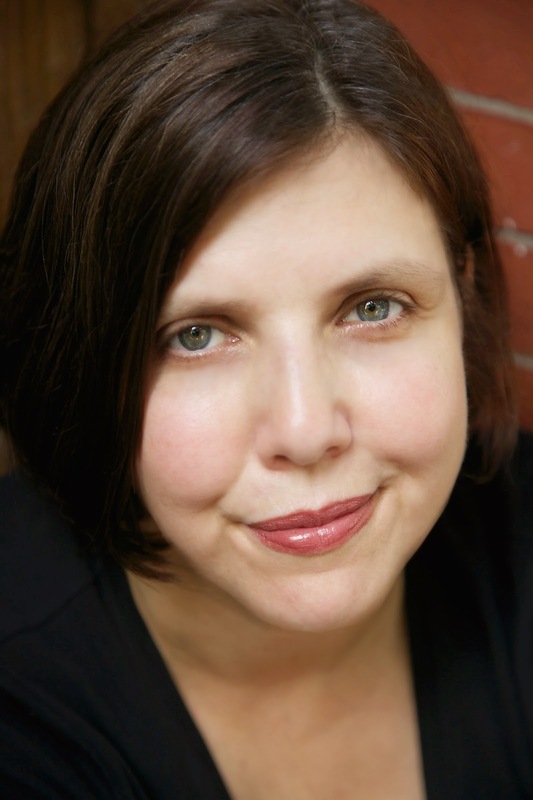 The wife is a novelist with one book to her credit, but she is struggling with her second. She agrees to ghost write a book in order to stay busy and generate income. Her husband is an accomplished musician. They live in New York City, where they are raising their young daughter. Their life is alternately fulfilling and frustrating. She recalls with regret and yearning that she had once wanted to be an “art monster,” dedicated to living the life of a true creative artist, without the restraints of a mundane existence of work and family. But the wife’s intellectual and career ambitions remain unfulfilled when she is pulled off that track by the demands of motherhood and marriage. Her unhappiness persists. One day while walking, she finds a book called Thriving, Not Surviving in a box on the street. “I stood there, flipping through it, unwilling to commit. You think that the mental anguish you are experiencing is a permanent condition, but for the vast majority of people it is only a temporary state. (But what if I’m special? What if I’m in the minority? ),” she wonders. The wife is recognizably complex: sensitive and thoughtful but neurotic and self-indulgent. A battle with bed bugs only exacerbates the marital tensions. They receive Christmas letters from his relatives, but “my husband won’t let me write one. We send a smiling picture instead.” She imagines the letter she would write. “Dear Family and Friends, It is the year of the bugs. It is the year of the pig. It is the year of losing money. It is the year of getting sick. It is the year of no book. It is the year of no music. It is the year of turning 5 and 39 and 37. It is the year of Wrong Living. That is how we will remember it if it ever passes. With love and holiday wishes.” One can see why her husband won’t let her send one. He is perplexed by his wife’s personal and professional disorientation. What makes this book unique is that Offill does not tell the story of this couple in chronological order or in any narrative form the reader is likely to have encountered. Instead, she has chosen to start in the present without revealing the status of the marriage and then allow the wife to narrate in a quasi-stream of consciousness that approximates the way our minds move back and forth through time to encounter experiences. It is a strongly interior experience. The narrative moves among a range of perspectives: a present-tense narration of a past event, a flashback that reflects on the consequences of an event, an introspective moment that blends past, present, and future. Through it all, the wife presents pieces of the puzzle in seemingly random order, which the reader sorts and organizes into a coherent picture of the couple’s life. Reading Department of Speculation is a dizzying experience in part because of the narrative approach, but also because Offill’s narrator is emotionally and intellectually unpredictable, always searching for sense in the world and her life. Her range of thoughts and emotions mirrors the way people actually experience love and marital tribulations: as a storm crashing through one’s life, turning one’s entire personal world upside down. The alternately introspective and sardonic narrative voice is masterful. When you finish Department of Speculation and mentally arrange the pieces to form a coherent whole, you will be tempted to re-read the book immediately now that you have the big picture. When you do, the intelligent, gem-like writing sparkles even more brightly and makes more sense – or at least as much sense as can be made out of life.